We are grateful to those who inform us of problems with our books, recordings, or website—it gives us the opportunity to fix the situation for everyone. Send this information to us using our Contact KI USA webform, or via phone or email. We will let you know what happened and when the situation is resolved. Thank you! All of Kappeler’s electronic books are in pdf format, and you can download them by clicking the DOWNLOAD button. Once the document is opened it is possible to read them, but we recommended that you save books to your device before reading, as it will allow you to use the full functionality of your pdf reader software. CLICK DOWNLOAD. This begins the downloading process. Exactly how this process works will depend on your browser and operating system—you might need to experiment to find what works best for you. BE PATIENT. Wait until the file is completely downloaded before clicking on it. Some files are extemely large, so downloading can take time. OPEN FILE. Once downloaded, the file might open automatically. If not, find the downloaded file icon and click to open. If the file doesn’t open or you get an error message, you may need to install pdf reader software. We recommend installing free Adobe Reader, which has features that makes study easy. SAVE FILE. Once the file is open, we recommend that you immediately SAVE the file to your computer/device (if you have enough disk space). The exact steps to SAVE depends on your software and operating system—you may need to experiment a little to find the best process. For PC users with Adobe Reader, pdfs will open in your web browser, which places hidden icons at the bottom of the book cover page (wave your cursor around to find them). 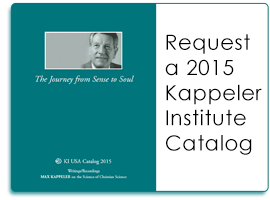 Click on the SAVE icon and navigate to where you would like Kappeler books to reside. OPEN SAVED FILE. Once the book file is saved, open it from the new location. This will allow you to use all the features of your software when reading. CLICK PURCHASE. This will take you into to a PayPal shopping cart, where you will see your selected purchase. CHECKOUT. Click the Checkout button to continue with your purchase. You can use your PayPal account, or any credit card. TO RETURN TO KI WEBSITE: Click the Continue Shopping button in the shopping cart. TO RETURN TO CHECKOUT LATER: The View Cart button will take you back to the shopping cart anytime. Buttons are located in right sidebar and on “item detail” pages. CREDIT CARD SECURITY: PayPal is a secure online bank. However, if you prefer not to use online banking, you can order directly from KI USA via phone, fax, email, or the Contact KI USA button (in header). Do not include credit card information if you order via fax or email—we will send you an invoice for your order. If you have any questions, please contact KI USA. All recorded classes are in mp3 format. You can download the mp3 files directly to your computer/device (free), or purchase a CD-mp3. We recommeded that you save downloaded classes before listening, as it will allow you to use the full functionality of your media software. CLICK DOWNLOAD. You will be taken to a file server where you can see all the individual files for that recorded class (each file is approximately 30 minutes). You might be able to play the file by just clicking on it, but we recommend you SAVE the file prior to playing. SAVE FILES. The exact steps to SAVE depends on your browser and operating system—you may need to experiment a little to find the best process. For PC users, try 1) a right-click, 2) select SAVE AS or SAVE TARGET AS, and 3) navigate to where you would like Kappeler files to reside. BE PATIENT. You may need to download each file individually. This can take time. OPEN SAVED FILE. Once downloaded, click on the first file, usually named “[Tapecode] #01A.” If the file doesn’t open or you get an error message, you may need to install media player software (Windows Media Player or iTunes are most common). MEDIA PLAYERS. If you have not used media players in the past, familiarize yourself with the play and pause features, which allow you to stop and replay anytime. Set the volume to a comfortable range, and experiment with speakers vs. headphones. CLICK PURCHASE. This will take you into to a PayPal shopping cart, where you will see your selected purchase. You have ordered a CD and a print copy of the Illustrative Materials.